St. Louis – Seoul Mamas, a K-beauty company was created from the founder’s personal story about family, adoption, and beauty. Seoul Mamas has offices in St. Louis and Seoul, which allows flexibility for innovation and new initiatives that put the customer at the center of everything they do. Per Geri, “we want to meet our customer’s needs.” One customer inquiry led to a private label for an international upscale hotel chain. Also, since they have a local presence in Seoul and direct relationship with manufactures they are able to meet customers’ personalized requests. For example: customers desiring to start up or enhance their business with unique and authentic Korean beauty products can leverage Seoul Mamas Korean-based operations for curated services. Those wanting to create a private label brand of K-beauty products will use the Seoul Mamas + You program. Seoul Mamas has begun asking moms about what they tell their daughters about beauty and being beautiful so their stories will encourage others. 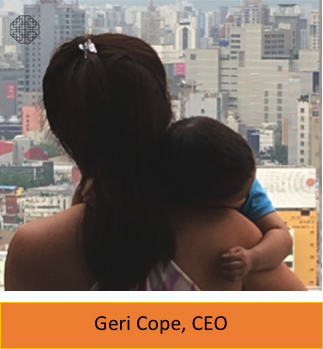 Contact Seoul Mamas if there is an interest in hearing more about Geri’s mom story, her love of beauty or her passion for helping people. And please enjoy our complimentary face mask and tell us what you think. Our founder, Geri Cope is a mother to four children including three that she and husband Eric have adopted from Korea. Geri is leveraging all of her skills as mom, attorney, CPA, financial adviser to build Seoul Mamas. 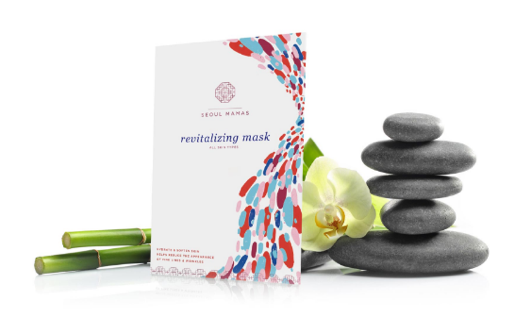 Seoul Mamas designs and formulates customized Korean beauty sheet masks, serums and other K-beauty products for consumers and companies around the globe. Mission: Seoul Mamas mission is to custom-craft Korean beauty products that help women take care of themselves like a treasured possession and to develop caring, trusted relationships that help women thrive.